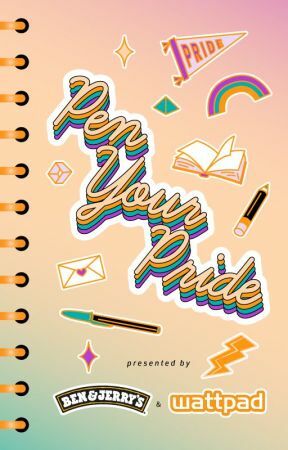 The Wattpad Pen Your Pride Write-a-Thon is an LGBTQ+ themed Write-a-Thon that encourages the community to share stories of LGBTQ+ experiences and allyship between 12:01 AM GMT June 1, 2018 and 11:59 PM GMT June 30, 2018. For every story tagged #WattPride during this time, Wattpad will donate $1 USD to the ILGA (International Lesbian, Gay, Bisexual, Trans and Intersex Association) up to $10,000.00 USD. Ben & Jerry&apos;s Canada (parent company Unilever Canada) is not an administrator of the Wattpad Pen Your Pride Write-a-Thon and is not associated with the administration of the Wattpad Pen Your Pride Write-a-Thon in any way other than its capacity as title sponsor in name. • Optional: Share your entry in the comment section below so other people can check it out. • Entries must be published on Wattpad and follow the submission guidelines outlined. • Must be its own work (so not a part in an already existing short story collection). • Stories marked "Mature" will be deemed eligible for donation so long as they do not violate our content guidelines (You can read the content guidelines .) Stories marked "Mature" will NOT be eligible for featuring. Love and acceptance are values that are celebrated here at Wattpad, as such there will be a zero tolerance policy regarding any hate and negativity towards the LGBTQ community in entries or in comments. They will be removed immediately and action will be taken against the offending user. • Selected stories will receive a sticker to showcase their achievement. • Selected stories will receive promotion from all participating profiles. • Is mature content allowed? Please refrain from posting mature content in association with this Write-a-Thon. Mature content will not be eligible for featuring (but they are eligible for donation). Anything that violates Wattpad&apos;s content guidelines will be removed. You can read the content guidelines here. • I don&apos;t identify as LGBTQ+, can I still enter? Everyone is free to enter, no matter how they identify. • Can I write a FanFic? While works of fanfiction will be accepted as part of the #WattPride Write-a-Thon (so they are eligible for donation), they will not be eligible for featuring. Do note that stories based on existing mythology do not count as FanFiction. However, stories using characters from existing universes (e.g. Marvel&apos;s Loki) do count as FanFiction and are thus not accepted. • Is there a limit to the number of stories I can enter? • Does the story need to be completed before the deadline? No, it can still be ongoing. • Is there a word limit? No, there is no limit to what your word count can be, but do keep in mind that we are looking for content that tells a story. Yes. Prose, poetry, fiction and non-fiction are all allowed. • Are non-English stories allowed? While  non-English stories will be accepted as part of the #WattPride Write-a-Thon (so they are eligible for donation), they will not be eligible for featuring. • Can I write a story together with a friend? • Can I also use this story for the Wattys? Yes, as long as it also meets the Wattys submission criteria. 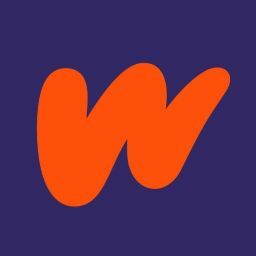 More info on TheWattys here.